I have been invited to be a guest speaker at the Autism Conference scheduled for September, 2015, which is being hosted by Happiness House, an organization dedicated to serving many individuals with disabilities, including a large population of people with autism. The conference committee is planning to host a group of (hopefully) about 500 people for a daylong event targeted to therapists, teachers and parents. 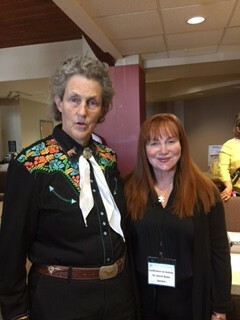 Temple Grandin will be the Keynote Speaker and I will be presenting information about A SECRET and b)useful strategies to manage some of the sensory processing impairments in children, clients and loved ones.